A research team led by Scott Gardner of the University of Nebraska-Lincoln has identified four new species of Ctenomys, a genus of gopher-like mammal found throughout much of South America. Commonly called tuco-tucos, the burrowing rodents range from 7 to 12 inches long and weigh less than a pound. They demonstrate the broad range of biological diversity in the lowlands and central valleys of Bolivia, where all four new species were found, Gardner said. It is very rare to identify a new species of mammal, said Gardner, director of the H.W. 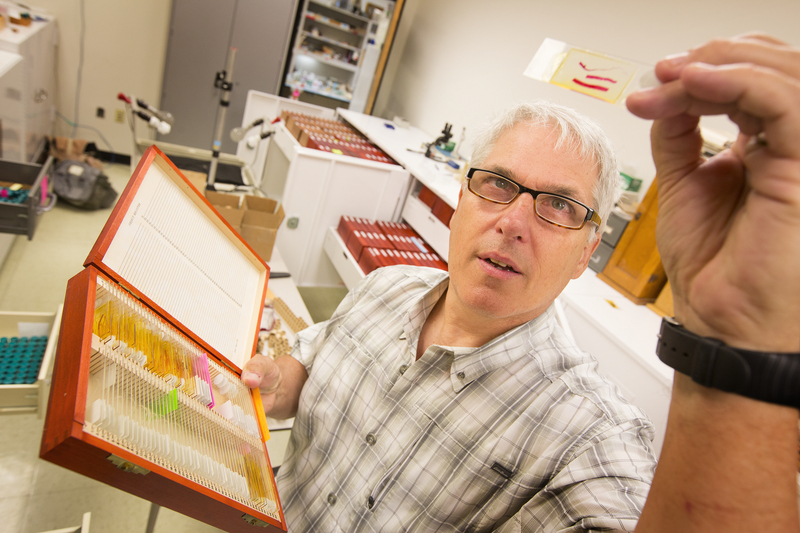 Manter Laboratory of Parasitology and a curator for the University of Nebraska State Museum. "In the current environment of human-caused environmental disturbance and degradation, the discovery of four previously unknown species that are relatively large in size is phenomenal," he said. Three of the newly identified animals -- Ctenomys erikacuellarae or Erika's tuco-tuco; Ctenomys andersoni, or Anderson's cujuchi; and Ctenomys lessai, or Lessa's tuco-tuco -- were found in an area of high ridges that create deep river valleys in central Bolivia. Though the animals share common evolutionary forebears, the ridges, created by the same fierce geological pressures that thrust up the Andes, establish a geographical isolation that fostered the development of distinct species in different valleys. The fourth new species, Ctenomys yatesi, or Yates' tuco-tuco, was found in the lowlands of eastern Bolivia. Though scientists earlier included it as part of previously identified Ctenomy species, Gardner's research team concluded it was distinctly different from any other species. "The area from which these mammals were collected is still relatively unknown in a biological sense, even though this is the eastern foothills of the Andes, with among the highest level of biodiversity anywhere," Gardner said, adding that he expects more new species of mammals will eventually be found in the area. As many as 65 tuco-tuco species are known to exist throughout South America. With the four new species, there have been a dozen found in Bolivia alone. The new tuco-tuco species were described in a research paper published earlier this month in a special publication of the Museum of Texas Tech University (No. 62, June 17). Gardner collaborated on the project with curators at the Museum of Southwestern Biology at the University of New Mexico in Albuquerque and with the American Museum of Natural History in New York. His co-authors were Jorge Salazar-Bravo of Texas Tech's Department of Biological Sciences and Joseph A. Cook of the University of New Mexico. Identification of the new species was the result of National Science Foundation-funded work Gardner began as a graduate student in the 1980s. He was interested in learning more about the parasites that infested tuco-tucos, but first needed to distinguish the rodent species. "As we went along, it turned out these species were more unique than we realized and we collected more and more as we moved through different places," Gardner recalled. "It turned out we could actually tell they were different by looking at their chromosomes and their DNA sequences." Gardner assembled the data and examined a couple hundred specimens collected over three decades. Each species was named for colleagues, some of whom participated on the project. 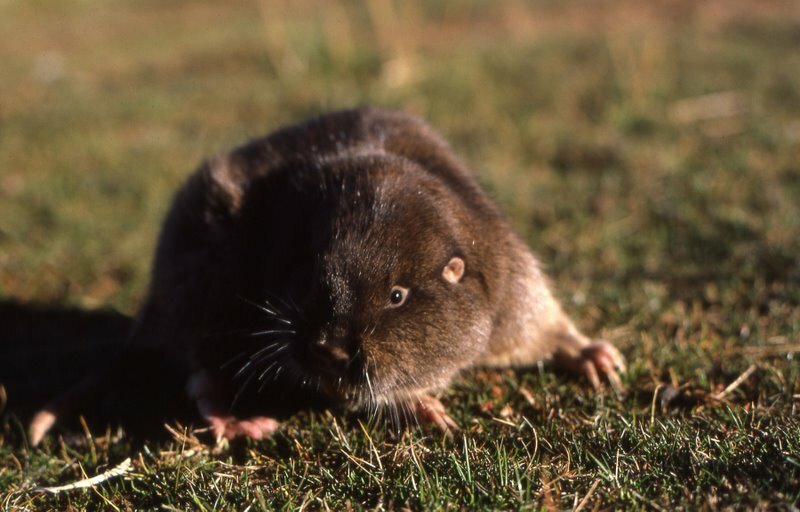 Ctenomys erikacuellarae was named in honor of Erika Cuellar, a Rolex award-winning conservation biologist from Bolivia who participated in field expeditions as a student in the 1990s. Ctenomys yatesi was named in honor of the late Terry L. Yates, curator of the Mammal Division of the Museum of Southwestern Biology and later a vice president of the University of New Mexico. Ctenomys andersoni was named in honor of Sydney Anderson, expedition leader and curator emeritus of the Department of Mammalogy at the American Museum of Natural History. Ctenomys lessai was named in honor of Enrique P. Lessa, an expert in Latin American mammalogy, evolution and the biology of tuco-tucos. Though some biologists recently have criticized the collection of specimens as potentially jeopardizing fragile populations of rare animals, Gardner said collecting expeditions to biologically unknown areas remain a critical part of understanding life on the planet. "The No. 1 cause of extinction of organisms is loss of habitat," he said. "Because of large-scale human-caused habitat destruction occurring worldwide, it is essential to create collections of organisms now and use modern methods of systematics and ecology to understand the history of life on earth, while we still can. Time is limited."